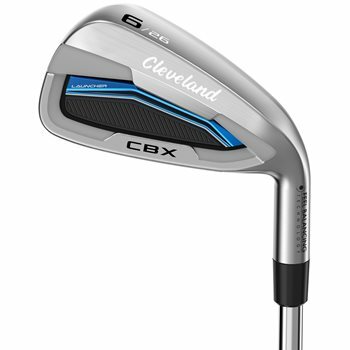 The Cleveland Launcher CBX irons feature a progressive V sole that provides forgiveness and lift through the turf in a progressive design that is perfected for each iron. The Launcher Cup Face produces exceptional ball speed across the face for greater distances while Feel Balancing Technology moves weight away from the hosel and toward the impact zone for better feel and improved distance control. The Tour Zip Grooves and Double Laser Milling combine to produce spin consistency from all lies to help you get closer from anywhere on the course. Progressive Shaping: Long irons have a thicker top line/low profile for distance. Short irons are compact with a thin top line for control.